Both of the most common types of "night vision" help law enforcement officers see people and objects they otherwise could not see in the dark, offering a huge tactical advantage. An image intensifier tube device, or "I²" device, is the type traditionally referred to as "night vision." It takes available light and intensifies it. The resulting image is traditionally green and black. Thermal imaging or infrared systems measure the difference in heat and produce an electronic image of what is radiating that heat. These are usually displayed in white and black. All of these can be handheld, mounted on helmets, mounted on weapons, and mounted on vehicles. As prices have come down and technology has improved, more law enforcement agencies have realized these devices' benefits. More departments are acquiring them, and more officers on different assignments are being able to make use of these tools which used to be reserved only for SWAT or other special details. Chief Mark Martin of the Coffeeville (MS) Police Department is a recent adopter of thermal imaging for patrol. He has a great deal of experience using the technology for search and rescue and as a police sniper, and is excited by the possibilities for everyday duty, including in increased officer safety. 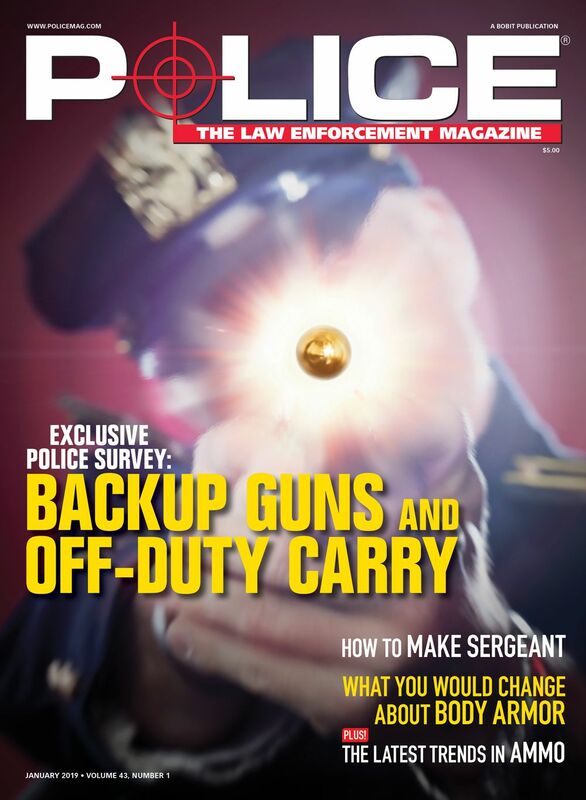 His six-officer department shares one handheld Pulsar Quantum XD38A thermal imager, but he is also looking to purchase thermal scopes for his officers' rifles. 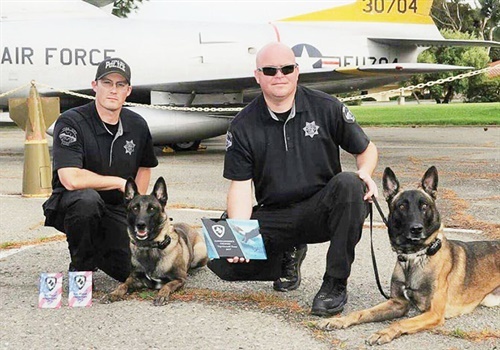 The Yuba City (CA) Police Department in the Sacramento area of Northern California uses I² night vision devices on its SWAT team and K-9 unit. Officer Kenny Sowles is one of two K-9 handlers with the department, and is also a member of the SWAT team, which has one I² night vision unit it shares on an as-needed basis. Seeing how successful the device was at helping SWAT officers find and catch bad guys in the dark, Sowles decided to put it to work in his role as a K-9 handler. He now uses a new Pulsar monocular night vision device purchased specifically for the K-9 unit, which he also uses on other types of calls. And the department's goal is to also purchase an I² night vision device for every member of the SWAT team. 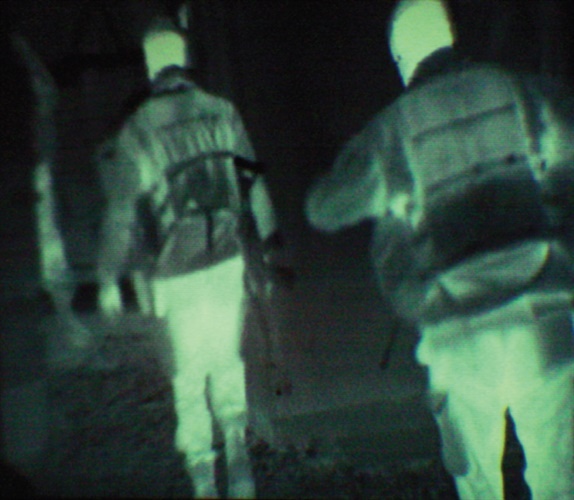 One of the greatest benefits of night vision or thermal is that it allows law enforcement to see what others can't, without being seen themselves. This can increase situational awareness as well as overall officer safety, which gives officers an automatic leg up. And it puts suspects at a severe disadvantage. Martin says that when one of his officers is patrolling Coffeeville at night and gets a "prowler call," it has become standard protocol to use the thermal imager instead of a spotlight to drive down the street and look for that person. "It doesn't alert that person that we're looking for them like a spotlight does," Martin says. "And it doesn't disturb the neighbors like a spotlight." He no longer gets frantic calls from nearby homeowners whenever his officers search for a subject. And because of the thermal imager's comparative stealth, officers are more likely to find the person they're searching for. "You could see him hiding in the bushes and he's not alerted to the fact that you know he's there," says Martin. "That gives you an opportunity to call other officers to the area so you can approach and arrest him." This can also hold true in daylight when detecting the heat signature of someone wearing camouflage or otherwise well hidden to the naked eye. Sowles uses a similar tactic with his I² device to search attics and aid in conducting yard-to-yard foot pursuits in urban areas, as well as searching for children or other missing persons. "I would use it for anything where you're doing a larger area search outside, such as searching an orchard or field," Sowles says. "It would not be as useful in a house, because we usually just turn on the lights or have other lighting." 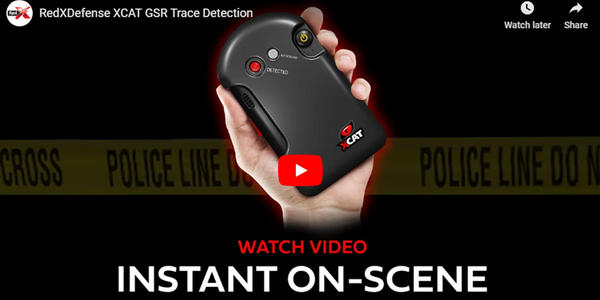 In the case of an attic, however, an officer can extend an I² device into the area to scan for a suspect without being seen or being exposed to undue risk, unlike searching with a flashlight. Since using night vision, Sowles has gotten into the habit of scanning an area before sending in his K-9. "I work from 6 p.m. to 6 a.m., so mostly in the dark," he says. He has found that night vision provides him with additional information to help decide when to deploy K-9 Gunner, his 4-year-old Belgian Malinois partner. Sometimes Sowles decides not to deploy the dog because he spots hazards that would either harm K-9 Gunner or be too cumbersome and reduce his effectiveness. These could be barbed wire fences, drop-offs in the terrain, or traps in wooded areas. But seeing a suspect armed with a weapon can be more complicated. "If I can see a suspect sitting there waiting with a knife, I might not deploy because he'll stab my dog," says Sowles. But it might be a situation so dire that no matter what, he needs to send the K-9 in after an armed suspect. He'd rather know either way. "An informed decision is way better than an uninformed one," says Sowles. Officers have found numerous and varied ways to make use of thermal and I² devices, some of which have a definite cool factor. Martin has used his agency's thermal imaging device to determine if a subject is carrying a concealed weapon without touching the person or the person's clothing. 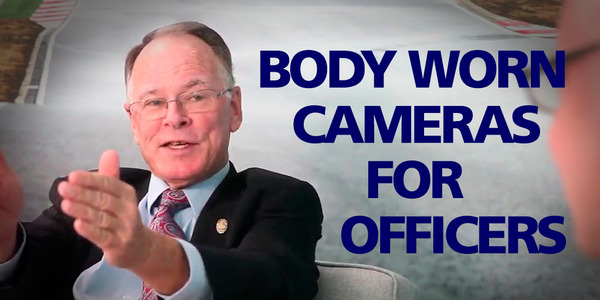 "If you see a bulge, and you look at them with thermal, if someone has a pistol underneath their shirt you can see the metal on that pistol as cold," he says. "It's almost like looking at an x-ray." Martin has also enhanced his search techniques by using the differences in heat signatures to recognize disturbed earth from someone having dug a hole and covered it back up, perhaps to hide evidence, as well as hollow areas or hidden compartments in vehicles or walls that may contain contraband. "An open area in a wall will react differently to heat than an area that is insulated," he explains. Looking to enhance his effectiveness, Sowles has outfitted his dog with a collar that has an infrared beacon to help track his K-9 using his night vision device. This has led him to develop new tactics to aid in suspect apprehension. He got the idea after using an infrared beacon with the SWAT team. For nighttime deployment in orchards, Sowles will cast the dog out looking for the suspect. He can keep track of where the dog is, but the suspect can't see him coming. 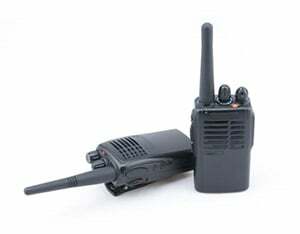 And if the K-9 engages the suspect, Sowles can quickly locate him using his I² device, without being seen himself. He can also place K-9 Gunner in certain areas, "down" him from a distance, and then move up to him when needed. When working in concert with the SWAT team, he can create cover for the team with blocking. "If anyone popped up, the dog would engage that suspect. We use the dog as a blocker," Sowles explains. Another benefit of the infrared beacon collar is that officers can use it to follow the dog from the air as well. "If my K-9 is engaged with the suspect and I'm around the corner, the air unit could tell me exactly where he is, and where to look for him," says Sowles. In addition to their many benefits, both I² and thermal devices also have some drawbacks that officers should keep in mind. I² can be hampered by streetlights and house lights in urban areas. It also can't see through smoke, fog, heavy rain, snow, or other obscurants. Thermal can see through smoke and other obscurants, but it is much less effective in inclement weather and is foiled by window and windshield glass. 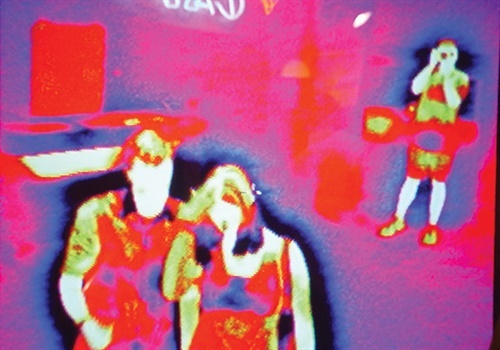 More importantly, thermal cannot produce an image sharp enough for a positive ID. It can show you that there is a person in the woods with a pistol, but not who that person is. Still, officers with these types of technology are happy with the advantages it provides them and look forward to making further use of it. "Night vision is going to be more accessible, and we will see more success stories from the use of it," Sowles predicts. Martin is similarly optimistic. "The uses of thermal are pretty much unlimited for a police department," he enthuses. "I think that any department that hasn't tried it should."